I loved this idea. This is an awe-inspiring sword, which retains some characteristics from previous generations. Kevin felt that the inscription was a bit much, and I agree with that. On my side, I suggested a different pommel shape and we settled on a Brazil nut shape. We agreed on materials (L6 for the blade, wrought iron for the fittings), and we were go. 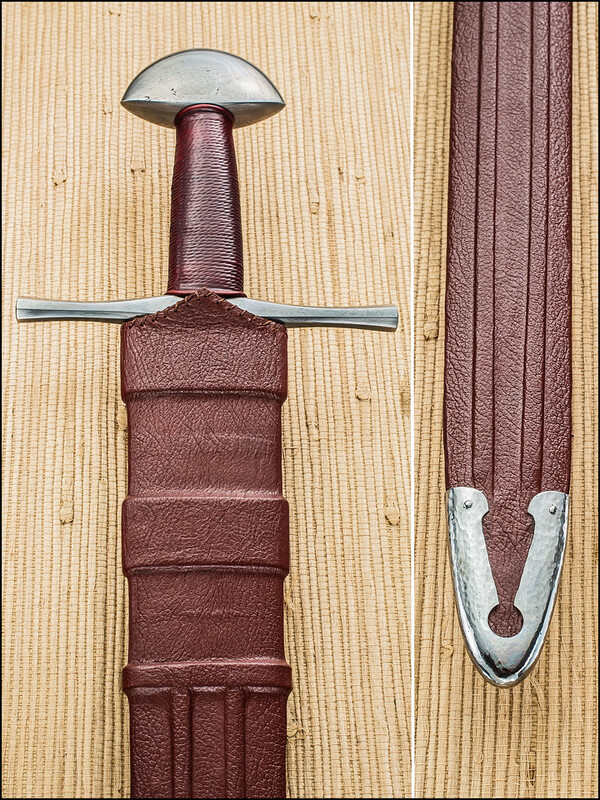 The sword was finished in November and I asked Kevin to ship it to Jim for him to do his usual outstanding photography work. 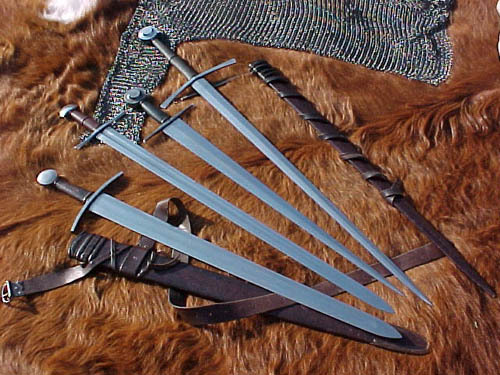 The blade is 32" and the sword overall is 38". It is great to see this posted!. Kevin had posted to his Facebook but just with a general description of the effort and a few forging shots. The net end result looks great, congratulations.. L6 has been a favorite for Kevin's swords. That's a great looking sword. 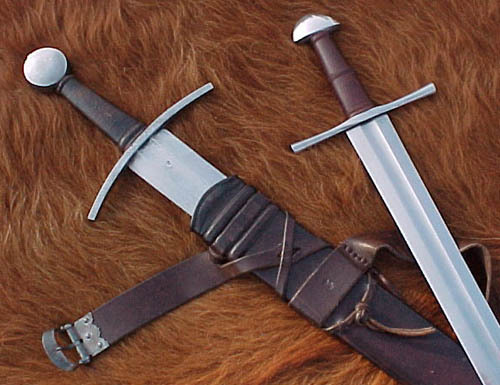 Gael Fabre also did a version of the Witham sword with a Brazil nut pommel but this one looks more authentic. 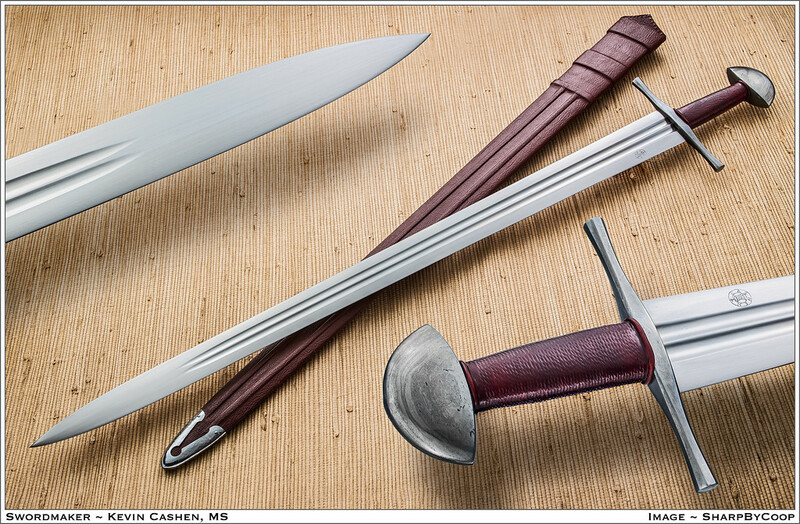 That is a great looking sword and scabbard! Congratulations to both yourself and Kevin. The Brazil Nut pommel goes very well with the design of the rest of the sword. Thanks all. It was fun to get back and forth on this with Kevin. We ended up with something much, much nicer than what I had started with, and I also think that the brazil nut pommel looks better than the original disk-shaped one.